A horn shark stolen from the San Antonio Aquarium Saturday is back home in its salt water exhibit. LEON VALLEY, Texas — Two people have confessed to stealing a shark from the San Antonio Aquarium and concealing it in a stroller. According to the Leon Valley Police Department, the suspect, Anthony Shannon, reached into the tank and removed a gray horn shark from an exhibit. The incident reportedly happened Saturday around 2:15 p.m.
Monday night, the shark was returned to her home at the aquarium to cheers from employees. 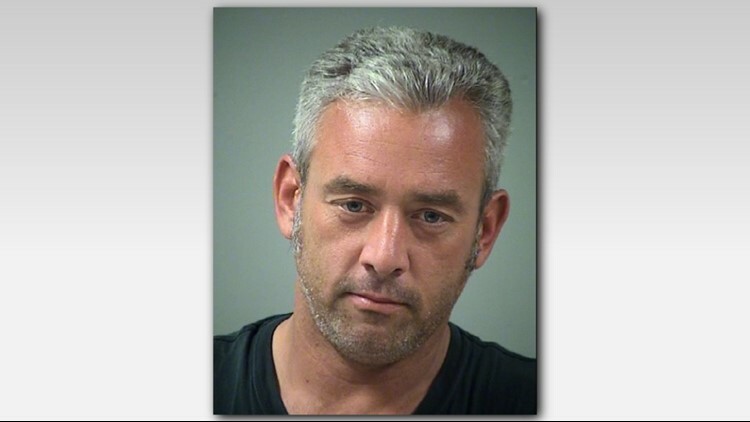 The Bexar County Sheriff's Office says Shannon is charged with felony theft. Surveillance video released Monday shows how the suspects managed to steal a live shark in broad daylight. Police say three people worked together to grab the horn shark, wrap it in a blanket and use a stroller to smuggle it to their car. Employees followed the dripping stroller but were not able to stop the theft. The aquarium also told us the suspects stole a bucket to help with the heist. It contained a bleach solution which was dumped into a cold water tank, harming some of the wildlife. No word if that incident will come into play with the charges these folks are facing. "It's a very small shark that is found in the Pacific Ocean. We don't have any in the Gulf of Mexico. They are bottom dwelling. They actually do very well in captivity, so they are often found in public aquariums," Texas Parks and Wildlife Science Director Michael Fisher said. At least one of the suspects left the property with the shark in a 4-door maroon Chevrolet Silverado truck. The truck "likely" used in the theft was recovered Monday evening, police confirmed. The vehicle was being processed around 5:30 p.m.
“Once they took [the shark] out, they put it in some kind of blanket and went into a secure area of the building. The blanket was wet. You could still see the water running off it... Employees witnessed the actual fact inside the employee area, and an employee followed them out and tried to get to look into the stroller that was dripping water. [The suspects] didn't stop, and they left," Leon Valley Police Chief Joseph Salvaggio said.